Christopher Cleland Schacht was born on 6 December 1946 in Melbourne, the only child of Lloyd Christopher and Mary Cleland Schacht, née Timcke. In the early 1860s his great-grandfather, Heinrich Schacht, arrived in Brisbane from Schleswig-Holstein, a disputed border province between Prussia and Denmark; another descendant was Peter Shack, former Liberal MP for Tangney, WA. Chris Schacht grew up in Gippsland, Victoria, where the family lived at Boisdale and Maffra, before moving to the Nambrok-Denison soldier settlement, where his father worked as a dairy farmer. Despite living in a strong Country Party area, Schacht's parents always voted Labor, in part because the Victorian Cain Labor Government established the Soldier Settlement Commission in 1945. Schacht attended Nambrok State School and Sale High School. The family then moved to South Australia where Schacht completed his schooling at Norwood High School before going on to Wattle Park Teachers' College to train as a primary school teacher. Schacht taught at Elizabeth Grove Primary School for three years, during which time he studied politics part-time at the University of Adelaide. In 1970 he married Robyn Lynette Bagshaw, and they had a son and daughter. Joining the ALP in 1965, Schacht took a temporary position as organiser for the South Australian branch of the party in late 1969. He worked on country organisation under Mick Young (MHR, Port Adelaide, 1974–88) during the 1970 state election campaign. Schacht was appointed press secretary to Tom Casey, South Australian Minister for Agriculture in Premier Don Dunstan's second ministry, and he held this position until 1973 when he became principal private secretary to Senator Reg Bishop, who served as Minister for Repatriation (1973–74) and Postmaster-General (1974–75) in the Whitlam Labor Government. Bishop influenced Schacht's political thinking by providing him with much useful political advice and as a result, throughout his career, Schacht remained, as he put it, 'a devotee' of Dunstan and Gough Whitlam for their commitment to political reform. Dunstan, Schacht said, 'never gave up being radical, progressive and arguing for change'. After the fall of the Whitlam Government in November 1975, Schacht returned to Adelaide and became an organiser (1975–79) and assistant state secretary of the SA Branch of the ALP. He was elected state secretary in 1979 and he remained in that post until his election to the Senate in 1987. Schacht was one of a new group of party leaders from outside the union movement. He was a member of the National Executive (1979–87), a delegate to the National Conference (1982 and 1984) and the Party's National Junior Vice-President (1983–86). Schacht and other foundation members of the state Centre Left faction met with other disaffected senior party members in Adelaide in February 1984, leading to the formation of the Party's national Centre Left faction. The faction was heralded as a home for those who wanted to focus on policy development and ideas rather than power and pragmatism. However, Senator Graham Richardson, a Right faction power broker, later wrote that the founding of the Centre Left faction had 'merely formalised a loose grouping that had existed in Caucus for years'. Schacht remained a spokesperson and leader of the faction throughout his career. I have enjoyed having abuse across the table. I have never taken too many points of order when people have tipped a bucket over me. I think that is just a part of the fair go that you should accept—and if you are thin-skinned enough to be worried about it you should not be here. When called to order—a frequent occurrence—Schacht would claim he was provoked or that he was just trying to help the speaker along. Whenever he was asked to withdraw unparliamentary remarks, he did so without arguing the point. However, during question time on 1 March 2001, he was suspended 'for persistently and wilfully refusing to conform to the standing orders'. Schacht's informality extended to dress. He rarely wore a tie, arguing that the tie had originated in the fifteenth century as a rag for cleaning muskets. Schacht was a member of many parliamentary committees and a strong advocate of the parliamentary committee system, especially the Senate estimates process which he used assiduously—although he was concerned that committees were being swamped by the number of bills referred to them for examination. Schacht had been interested in telecommunications since working for the Postmaster-General at a time when the department was broken up into the Australian Telecommunications Commission and the Australian Postal Commission. He therefore played a major role in developing party and government policy on the media both within Caucus and as chairman of the Senate Select Committee on Subscription Television Broadcasting Services in 1991. He advocated an independent Australian Broadcasting Corporation and diversity in media ownership and content, and he was especially keen to see 'new players' encouraged to provide pay television services. He advocated tight limits on foreign press ownership and regarded the power held by Rupert Murdoch and Kerry Packer in the media as excessive. His urgings, over many years, for an inquiry into print media eventually came to fruition when the Hawke Government established such an inquiry in 1991. In the same year Schacht chaired the Senate Select Committee on Political Broadcasts and Political Disclosures, which examined government legislation aimed at restricting electronic political advertising—a measure for which he had long advocated. In the following year, Schacht was unimpressed by the decision of the High Court striking down the legislation on the grounds that it was in violation of an implied constitutional right of freedom of speech. Describing the Court's decision as 'legal sophistry at its worst', he rejected 'the notion that an unelected appointed body' could 'determine what the laws of Australia are by saying it is implied in the Constitution'. Schacht was intensely interested in foreign affairs and human rights and was particularly proud of his work in that area. In 1988 Schacht was the first Australian parliamentarian to visit the areas of Eritrea under the control of the Eritrean People's Liberation Front. He was passionate in his support for Eritrean independence and was a patron of the Eritrean Relief Association. Schacht closely monitored political events in Burma and was one of the few western politicians to meet with Aung San Suu Kyi after her return to Burma in 1988. He chaired the Joint Standing Committee on Foreign Affairs, Defence and Trade (1990–93) and in this role he negotiated the establishment of a human rights sub-committee in 1991, acting as its first chairman. The initial public hearings of the human rights sub-committee held in December 1991 heard evidence about the shootings in East Timor on 12 November 1991, colloquially known as the 'Dili Massacre'. In December 1992 Schacht tabled the Joint Committee's report in the Senate, A Review of Australia's Efforts to Promote and Protect Human Rights, 'the first comprehensive report on human rights to the Parliament'. Schacht visited South Africa in 1991. On this visit Schacht effectively acted as an envoy for the Hawke Government as a first step towards the restoration of official political relations between the two nations. Schacht led human rights delegations to China in July 1991 and November 1992; the 1991 delegation's report severely criticised China's human rights record, especially in Tibet. In 2002 Schacht concluded his valedictory speech to the Senate in 2002 by paying tribute to Maung Maung Kywe, a young Burmese political activist killed years earlier, and Wang Wei Lin, who had confronted Chinese Government tanks near Tiananmen Square in 1989. Described as a 'political warrior' and 'factional warlord', Schacht's robust style earned him nicknames such as 'Foghorn Leghorn' and 'Basil Fawlty' from his Labor Party colleagues. While Schacht was critical of some individual MPs, he was also quick to praise and give credit to opponents where he believed it was due. He was considered to have a sharp intellect, an inquiring mind that pushed for answers and a sense of humour that was often self-deprecating. Schacht's penchant for creating mischief landed him in trouble on two occasions in mid-1989. After the overthrow of John Howard by Andrew Peacock as Opposition Leader, Liberal Senator Michael Baume made critical public comments about Peacock and two of Peacock's parliamentary followers. Baume had also remarked that the ALP might seek to benefit from Liberal disunity by producing an advertisement based on the comments. Schacht took him at his word, publishing a poster repeating Baume's remarks. Baume complained to the Australian Electoral Commission and an investigation into Schacht's behaviour by the Commonwealth Director of Public Prosecutions ensued. Although Schacht was found to have committed technical breaches of the Electoral Act 1918, no charges were laid. Within a week of distributing the poster Schacht was caught up in another controversy, this time over his use, during a Senate speech, of a transcript of proceedings of a private meeting of anti-abortion campaigners held in a parliamentary committee room. Schacht refused to reveal the source of the transcript and subsequently destroyed it. Two censure motions moved against Schacht were defeated after the Opposition and the Australian Democrats failed to find common ground. As political commentator Michelle Grattan noted, Schacht was one of the few backbenchers to develop a public profile 'through parliamentary or caucus committee work, or sheer doggedness and sometimes bloody-mindedness'. Grattan also suggested that Schacht was 'a familiar face in the press gallery', which no doubt helped his profile. Schacht was believed to be a major source of leaks to journalists and in 1988 Foreign Minister Bill Hayden labelled him a 'media nymphomaniac'. Schacht was a close but not uncritical ally of Paul Keating and a key player in promoting Keating's leadership challenges against Bob Hawke in 1991. After the March 1993 election, which saw the return of the Keating Government, he was rewarded by being appointed Minister for Science and Small Business and Minister assisting the Prime Minister for Science. In this capacity he was also the minister responsible for the Australian Customs Service (ACS). In May 1993 Schacht announced a wide ranging review of the ACS following a 1992 report of the Joint Committee of Public Accounts on its inquiry into the ACS and its failed prosecution of the shirt manufacturer and importer Midford Paramount. In its report the committee had identified 'serious shortcomings' and inadequacies in the investigatory methods of the ACS and had recommended that the defendant company be compensated for resultant legal costs and damages sustained. The review of the ACS was conducted under Frank Conroy, who produced a report in December 1993, The Turning Point, which recommended broad structural and cultural changes to the ACS. Urged in the Senate by Senator Bronwyn Bishop, Schacht claimed to have implemented these reforms by the time his responsibility for Customs ended in March 1996. Early in his tenure as science minister, against the advice of his department, Schacht proposed to consolidate all marine and atmospheric research into the same statutory body, by removing three of the relevant Commonwealth Scientific and Industrial Research Organisation (CSIRO) divisions and integrating them into a new independent research institute with the Australian Institute of Marine Science (AIMS). This heavy-handed non-consultative approach brought about strenuous resistance from within the CSIRO, the wider scientific community, the Public Sector Union, industry and environment groups, and some of his ministerial colleagues. Schacht also sought to have the CSIRO take over the responsibilities of the Australian Nuclear Science and Technology Organisation (ANSTO). Once again, Schacht's failure to consult created major difficulties, especially as the CSIRO did not want to take over the responsibilities of ANSTO. ANSTO's chairman accused Schacht of conducting a 'personal vendetta' against the organisation, eventually leading Schacht to force the resignation of the ANSTO board. Foreign Minister Senator Gareth Evans, the creator of ANSTO in 1985, believed strongly that ANSTO should remain independent and was reported to have had 'terse' conversations with Schacht. Press coverage of the controversies was highly critical of Schacht. In November 1993 Cabinet deferred both proposals and four months later Schacht was relieved of the science portfolio. He had held it for just one year. Schacht's new post was Minister for Small Business, Customs and Construction which he retained until the Keating Government's election defeat in March 1996. Schacht was a recognised advocate for small business despite not having a background in that area. In 1991 the Standing Committee on Legal and Constitutional Affairs, of which Schacht was a member, had recommended amending the Trade Practices Act 1974 (now the Competition and Consumer Act 2010) to prohibit mergers 'which substantially lessen competition in a substantial market'. In the following year, assisted by lobbying from his friend, National Party senator Ron Boswell, Schacht persuaded the Keating Government to enact the recommendation. His interest in small business continued in Opposition and in 2001 he introduced five private senator's bills designed to strengthen the position of small businesses. None of the measures came to a vote. After holding the shadow communications portfolio from 1996 to 1998, Schacht was appointed shadow minister for veterans' affairs in October 1998. He took on the role with enthusiasm as the subject had strong personal associations: his maternal grandfather served at Gallipoli and was a founding member of the Returned Services League in South Australia. In April 2001 Schacht introduced a private senator's bill to award posthumous Victoria Crosses to three Australian ex-servicemen. Although the bill did not proceed, Schacht continued to push for the recognition of servicemen and women overlooked by the defence honours system. 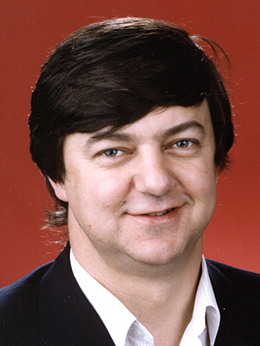 Schacht lost his Senate seat at the November 2001 federal election, having been relegated to third spot on the ALP ticket after the two major Right and Left factions in the South Australian ALP combined to place their candidates ahead of him. He did not conceal his anger and in one of his last Senate speeches he described tight union control of Labor Party factions as 'a weakness that has got out of hand'. In 2004 he alleged that 'the major factions have now descended into a collection of self-interested, cannibalistic tribes which are devouring themselves and the ALP'. After Schacht's preselection loss, political commentator John Warhurst wrote: 'He made a greater contribution than many other parliamentarians, but he was not really a high flyer. He was more important within the Labor Party itself'. Years earlier, Stephen Mills had noted how Schacht combined qualities rarely seen together: a passion for internationalism and human rights with a capacity for factional manoeuvring. Schacht described his post-Senate occupations as adviser, journalist and investor; as a registered lobbyist he has been involved in the promotion of the wine industry, biotechnology, and trade with China. In January 2008 he became a director of Marathon Resources Ltd, a company which undertook controversial uranium exploration in South Australia's Arkaroola Wilderness Sanctuary. Schacht served a record term as president of the Australian Volleyball Federation from 1997 to 2013, was a member of the Legal Commission of the Federation Internationale de Volleyball (FIVB) for four years, and in 2011 became the first Australian elected to the seven-member FIVB Board of Administration. He continues to comment on public affairs. CPD, 27 June 2002, pp. 2903–4, 17 Sept. 1987, pp. 269–77; Vern Marshall, 'The Labor Party' in Andrew Parkin and Allan Patience (eds. ), The Bannon Decade: The Politics of Restraint in South Australia, Allen & Unwin, Syd., 1992, pp. 43–4; Graham Richardson, Whatever It Takes, Bantam, Syd., 1984, pp. 158–9. CPD, 6 Oct. 1992, pp. 1177–8, 8 Nov. 1988, p. 2242, 8 Dec. 1992, p. 4332, 27 June 2002, pp. 2905–6; Age (Melb. ), 4 Nov. 1991, p. 13. CPD, 27 June 2002, pp. 2869, 2909, 31 May 1989, pp. 3084–3106; Advertiser (Adel. ), 23 May 1989, p. 4; Media Release, Senator Chris Schacht, 15 June 1989; Age (Melb. ), 4 May 1988, pp. 1–2. Joint Committee of Public Accounts, The Midford Paramount Case and Related Matters, Canberra, 1992; Media Release, Senator the Hon. Chris Schacht, 4 May 1993; Committee of Review into the Australian Customs Service, The Turning Point, Canberra, Dec. 1993; CPD, 6 May 1993, pp. 297–301, 22 May 1996, pp. 948–9; Australian (Syd. ), 11 July 1993, pp. 17–18, 17 July 1993, p. 1; SMH, 17 July 1993, p. 31. CPD, 29 April 1999, p. 4626, 4 April 2001, p. 23696, 19 June 2002, p. 2138; CT, 21 April 2000, p. 9, 27 Oct. 2004, p. 11. This biography was first published in The Biographical Dictionary of the Australian Senate, Vol. 4, 1983-2002, Department of the Senate, Canberra, 2017, pp. 298-303.